Kendall experiences fetal alcohol spectrum disorder. 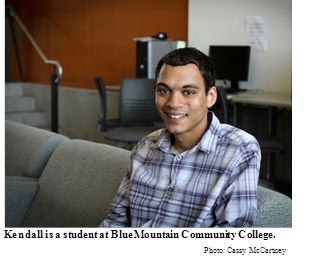 Overcoming many challenges in his life, Kendall is now a full-time student in the diesel technology program at Blue Mountain. In addition, he also works a few hours per week at the Arc of Umatilla County in Hermiston, where he lives with his family. He received job development and job coaching services for his job through Trendsitions. Kendall said he likes hands-on work, which is why he became interested in the diesel technology program. “I like to work with my hands, and it’s one of the few programs in this area that offers that,” he said. “Also, I like the idea of being able to fix my own car, and not to have to rely on others. 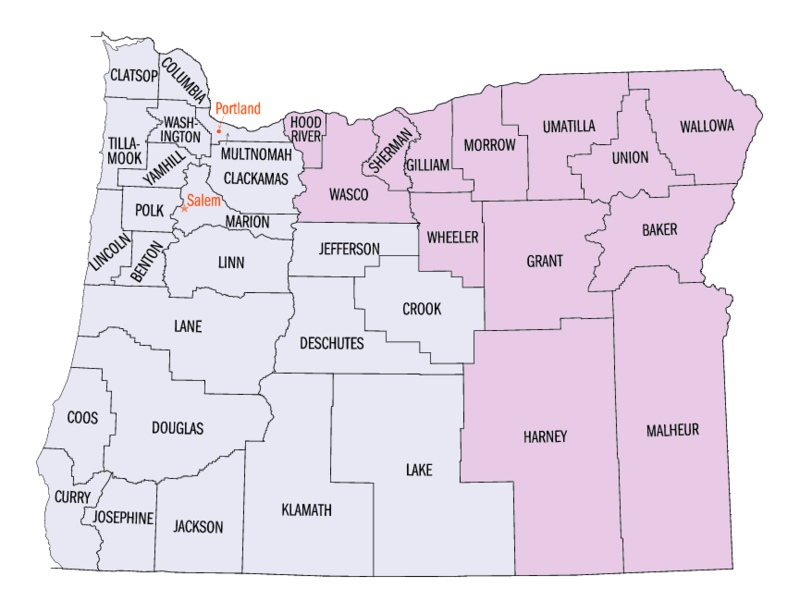 Kendall grew up in Salem but moved to Hermiston during his senior year. 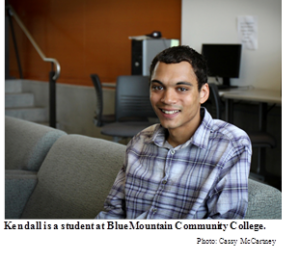 He graduated from Hermiston High School with a modified diploma and then enrolled at Blue Mountain’s Hermiston campus. 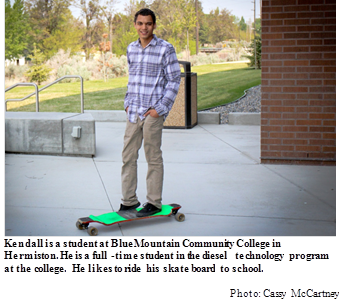 For the 2015-16 school year, he will transfer to the Pendleton campus to start on the diesel technology program. Kendall is in ODDS services, and just started the application process with Vocational Rehabilitation. He said he eventually will look into self-employment with VR because his dream is to own his own auto body business. We will continue to follow Kendall’s story as he progresses through college, so expect to see more, including photos from the diesel program, in the future. 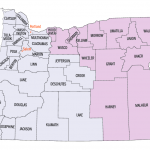 Kendall’s case management is with Eastern Oregon Support Services Brokerage.